On Monday, September 25, 2017, John Cabot University President Franco Pavoncello dedicated the Caroline Critelli Guarini Campus, located in Piazza Belli. 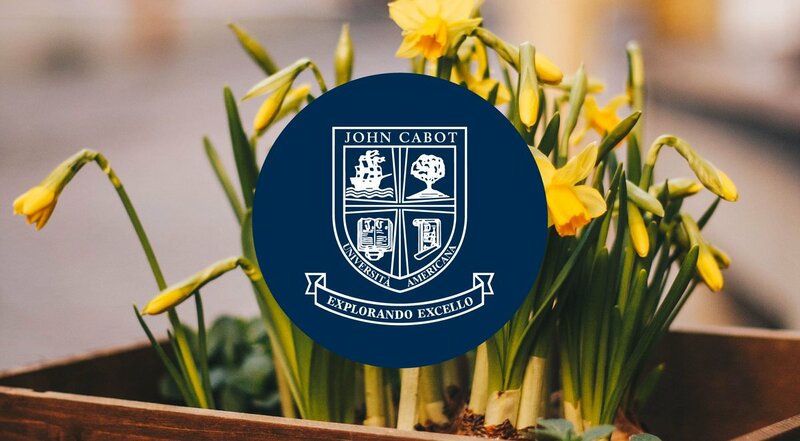 John Cabot University is proud to announce that the STAND student club recently donated €10,000 to the Italian Red Cross (IRC). On Wednesday, September 20, the JCU Institute of Creative Writing and Literary Translation hosted a reading by JCU English Professor Daniel Roy Connelly, actor, theater director, and Shakespeare scholar, as well as former diplomat. Adriana DeNoble is an English Literature and Creative Writing student from New Jersey. She recently published a piece in Thought Catalog titled "The Reality of Racism in America." The Institute for Entrepreneurship welcomed Chris Schembra of the 7:47 Club, a company whose aim is to awaken empathy in people and organizations. In July, Professor Clough-Marinaro and JCU Alumnae Oriana Quaglietta and Maria Giuditta Borselli presented their research at an International Conference. Professor Lila Yawn teaches Art History at JCU and is Director of the MA in Art History. She specializes in the history of medieval art in Italy. Due to a power shortage at the Tiber Campus this morning, classes will not be held until the lights are back on. Students are directed to go to the Guarini Campus or wait at home until they are notified that the lights are back on. From Tuesday, September 5 to Saturday, September 9, JCU photography professor Serafino Amato will present the exhibit False Finzioni (Fake Fictions).